Happy Mork and Mindy Day! Today is the 40th anniversary of the screening of the 1st Episode of Mork and Mindy. Tribune medias’ Antenna TV is broadcast a binge watch extravaganza. Mork and Mindy, at least for me, was my introduction to Robin Williams. He’d appeared on an episode of Happy Days as Mork, but he really became famous from the series. It ran for 4-years between 1978 and 1982, recording an incredible 94-episodes. Over the past 5-months or so I’ve had my Tablo DVR set to record any episodes of Mork and Mindy. Antenna has been playing them already. I have 53 recorded. May of the episodes give Robin Williams a vehicle for his amazing timing and humor. Some give him the ability to be ironic, some more thoughtful. Of his many reports home to Orson, he included this one, from Season-3, Episode-14 on “Being famous on earth”. The episode was filmed shorty after John Lennon was assassinated. 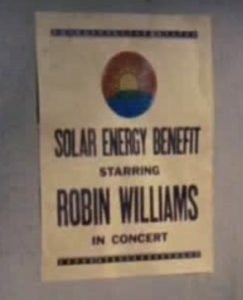 I can’t help but wonder, is Mork would have included Robin Williams in the list of names he lists and the end of the report. I had no recollection of the fact the series was based in Boulder, interestingly, the episode this clip was featured in was called Mork meets Robin Williams. 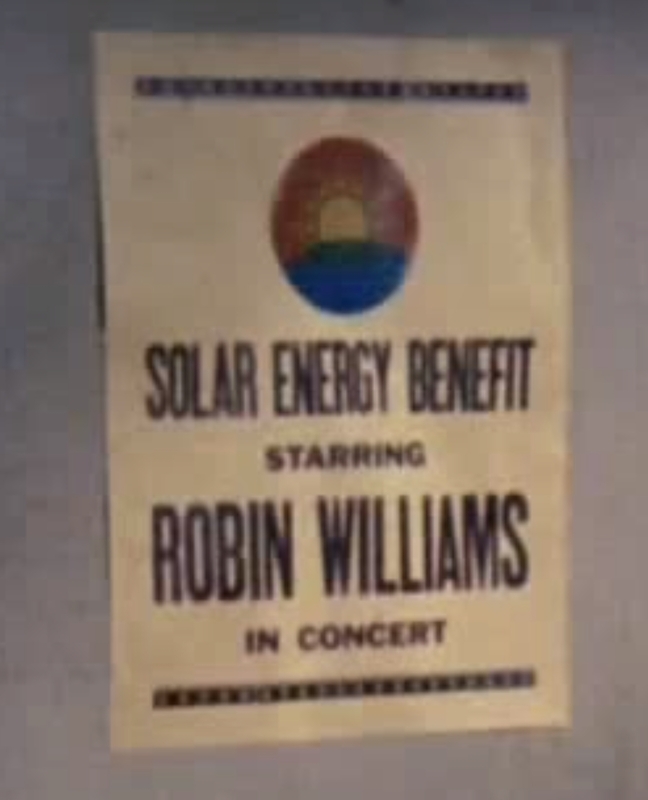 Williams was in Boulder to perform at the “Solar Energy Benefit”. Not much has changed, just Boulder being Boulder. As of July 2016, the Boulder house where Mork and Mindy lived , 1619 Pine Street right by the Perl Street Mall, was valued at $1.9 million, with a last sale date of 1974 for US $80,000 (equivalent to $385,000 in 2015). It’s never clear how a young Mindy could afford to live there then, she couldn’t now. Just Boulder being Boulder. You can watch almost all the episodes of Mork and Mindy on youtube. Author Mark CathcartPosted on September 14, 2018 September 12, 2018 Categories cultureTags Boulder, celebrity, comedy, mork and mindy, tv1 Comment on Happy Mork and Mindy Day! What is the advantage of Roku over smart tv or internet enabled dvd? Can’t say for a DVD, but smart TV’s are likely to go the way of 3D TV’s, they are here today and will be gone tomorrow. In my case, a 60-inch Samsung Smart TV, I’ve abandoned the Smart TV part and replace it with a Roku Premier. The advantages are more apps, integrated search across all the apps(amazon, netflix, HBO) and much more. My Samsung had HBO GO, but I didn’t; it doesn’t have HBO Now, but I do. Apps would disappear overnight without warning, others, like Skype, would give 3-months warning and disappear forever. The Smart TV had no update control, always seemed to want to update when I wanted to watch it and more. Author Mark CathcartPosted on January 18, 2017 January 17, 2017 Categories Life, technologyTags 3d, Amazon Fire, apps, Chromecast, google, roku, Samsung, skype, SmartTV, tvLeave a comment on What is the advantage of Roku over smart tv or internet enabled dvd? Archie and his generation had grown tired of the 1960’s liberal experiment and they blamed it for tearing apart “their” America. It was where the disenchantment about the welfare system came from and how welfare had become permanently associated with the African American, and exploded out of control. It’s quite likely Donald Trump got many of his values, and was influenced heavily by Archie Bunker. If Trump wasn’t, many of his supporters absolutely were. It was a simpler time in the 1970’s. New York was full of men and women descended from German, Irish, Italian, Polish, Greek and Jewish immigrants who were civil servants, union members and similar. They were “middle class” only in so much as they were neither working class, nor formerly slaves. Archie Bunker soon became the countries favorite TV character whe he appeared on TV in 1970. He is by todays standards, a man from another era. Watching episodes of All in the Family now, it’s easy to see that even back then the liberal media laughing at Archie, making fun of his customs and behavior. Archie was at heart though a democrat. Satire only really works, if it’s based on real life. The problem was, welfare never did anything to address the problems of ghetto life, racism, and endemic poverty. The white middle and working class saw the increasing lack of personal control of what happened to them. You can trace many of the values held by Trump and his supporters back to this time, and Archie Bunker is their poster boy. Peter Hamill wrote in his April 1969 feature in the New York Magazine “The Revolt of the White Middle Class” . The working-class white man is actually in revolt against taxes, joyless work, the double standards and short memories of professional politicians, hypocrisy and what he considers the debasement of the American dream. If the stereotyped black man is becoming the working-class white man’s enemy, the eventual enemy might be the democratic process itself. Any politician who leaves that white man out of the political equation, does so at very large risk. The next round of race riots might not be between people and property, but between people and people. And that could be the end of us. And that is, as much as anything, how we arrived where we are today. As an Englishman, I never really understood the use of term “middle class” in America, it seemed so at odds with the British middle class. Hamill put that in context, but Bunker represents the values, and thinking that has developed in the rancorous mob we see today, and that includes whatever Trump and Cruz think are “values”. A while back I needed a USB Printer cable, all the regular shops were charging $29.99 and up, there was even one priced “monsterously” for $59.95. Please, USB and HDMI cables carry a digital signal, along with a few other things, for USB, that includes power. They are binary, they either work or they don’t. With black friday coming this week, no doubt many people will be tempted to be thankful on Thursday, then on Friday they’ll head online or to the stores to buy more stuff, so they have something to be thankful for next year. If you are considering a new TV, and are tempted to buy a bunch of new cables, don’t get fooled and buy those really expensive HDMI cables. Read this link. I get all my cables from Discount Electronics and rarely pay more than $19.99 and sometimes as little as $5. If you need exceptionally long cables, 50ft or longer then there are some issues; for example, 1080p goes 32ft without a repeater, but shorter than that, if you are having problems its the sending device rather than the cable. Also, sound cables that go from an older TV to a hifi(home theater) system essentially carry a non-digital signal and are subject to some interference, and so you might benefit from more expensive, shielded cables, but try what you’ve got, or cheap ones first.